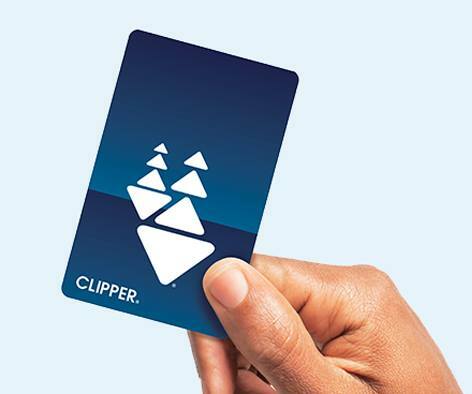 Clipper is the regional fare card used by adults, youth, and senior/disabled transit riders all over the Bay Area. Get a Clipper card, add a pass or cash to it, and forget all the slow farebox loading that ties up bus travel. Traveling on more than one transit system? Clipper is a no-brainer. By adding an AC Transit pass and cash to your Clipper card, you’ll tag and go whether you’re on AC Transit, BART, Muni, or VTA (and many other area agencies). Clipper in two words: savings and convenience. When you get a Youth Clipper card, you’ll start saving immediately. First, there’s no fee to get a Youth Clipper card. And if you add cash value to the card, you’ll get 5-cents off every cash fare you pay on an AC Transit bus. When you buy a Youth 31-day Pass, you’ll save even more! Riding the bus every day to and from school (about 40 times a month) will cost you $42 (that $1.05 really adds up, doesn’t it?). But a 31-day youth pass on your Clipper card is only $20. That’s like getting half your rides for free. You can do a whole lot more with an extra $20 a month in your pocket. Getting started on Clipper is easy. Youth cards have to be registered to work. The first step is to fill out the youth application and mail, fax, or email it plus proof-of-age* to Clipper. Once you get the card in the mail, head to one of over 100 Clipper retail vendors or visit online at clippercard.com to add a 31-day Youth Pass or cash value to your card. Clipper works just like your debit card–add value to it, and every time you board, the card debits your money or pass. If you don’t add a pass or cash to your card, it won’t work. So the CliffsNotes version: go get your card. Add pass and/or cash. Tag on the bus and ride! If you’re a student or parent riding transit in the Bay Area, download the standard application and follow the instructions to submit it via mail, email or fax. The Clipper card, which is free, will be mailed to the address you provide. 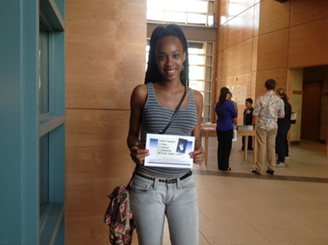 To get a new card the same day, either the applicant (youth) or the parent can apply in person at AC Transit, 1600 Franklin Street, Oakland, CA, Monday through Friday 8 am to 5 pm. No appointment is needed; be sure to bring a document with date of birth, as described on the application form. Want to learn more about Clipper on AC Transit, check out the Clipper page or call 511 (and say, “AC Transit”). To find a nearby Clipper retail vendor check out this link.